I’d like to preface that I am a HUGE Glow Recipe fan. They sent me over their Watermelon Glow Sleeping Mask to try a few months ago, and it is skin-changing. So when I received a Glow Recipe package TODAY, I immediately stopped what I was doing and tore into it. I found the Watermelon Glow Jelly Sheet Mask and slapped one on. 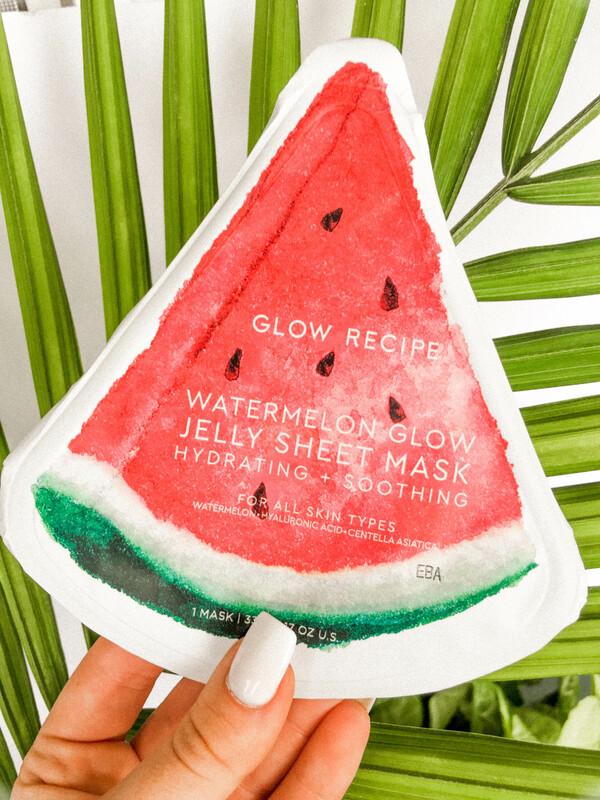 First of all, I love that this face mask is transparent (i.e., Jelly) instead of the usual serial killer white sheet mask. Y’all know what I’m talking about, looking like a character out of a horror movie in the name of beauty (lol). The product being clear is a major bonus if you are with people, on a plane, etc. You apply the mask to clean skin in two sections which also makes for a more secure hold than traditional sheet masks. It’s cooling, and I can see why it claims to depuff. 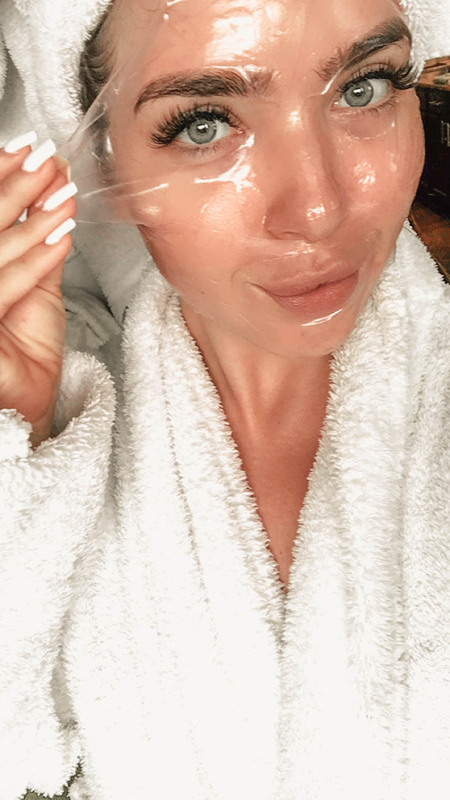 Made up of watermelon extract, hyaluronic acid, and centella asiatica extract that “helps to quench dehydrated skins, leaving it soft supple and bouncy.” After 10-15 minutes (and 25 snapchats later) you peel off the mask and viola you are STUNNING! Ahah okay, maybe nothing that drastic but my skin 100% felt hydrated and looked plumper. Not to mention, I was dewy and fresh for hours. This mask is sure to become a cult favorite. You can pick yours up at Sephora.com. Til next time, stay masking and multi-tasking!